← Drinking and … Pedaling? This weekend Bee The Buzz Event had the pleasure of putting together welcome packages for companions of IEEE-Minnesota conference attendees. We did not have a lot of information about the demographics of the companions, so we made a natural guesstimate based on statistics that we researched as well as incorporating many local Minnesota products. For the adult companion bags, we included the latest issue of Minneapolis/St. Paul magazine, a water bottle (of course, as you know, BBE is all about green products! 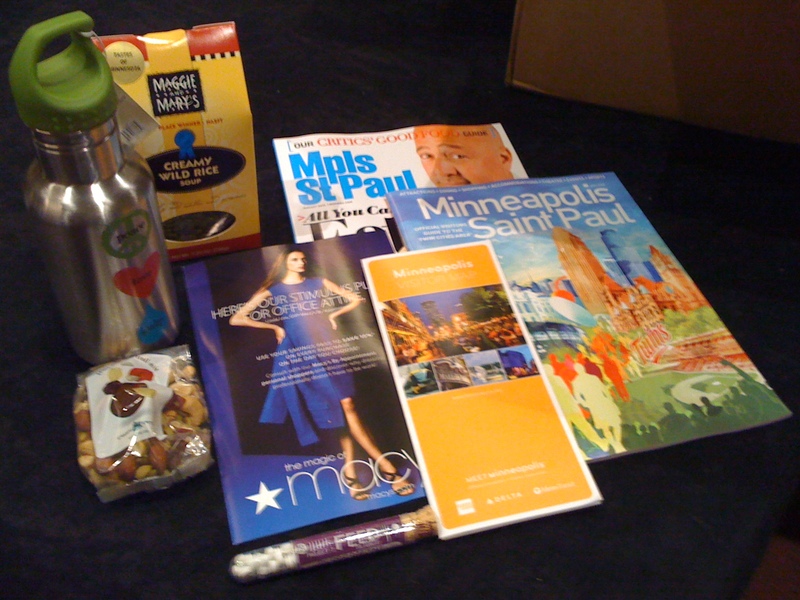 ), a fruit and nut trail mix from Caribou, a creamy wild rice soup from Maggie & Mary’s, a Minneapolis/St. Paul map and visitor guide, Ivy Spa Club gift certificate, MACY’s fashion show ticket and a Project-7 Mints (another ‘green’ initiative product) from Caribou. 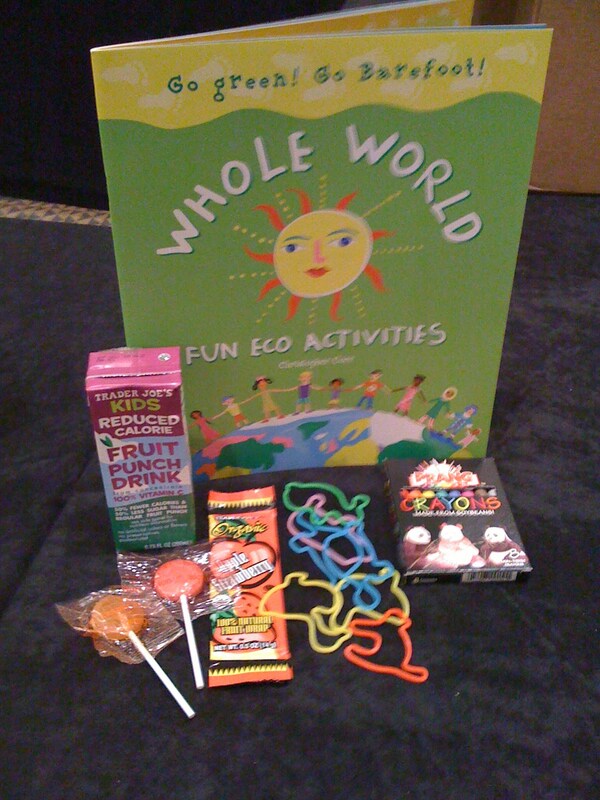 For the kids bags, we included a Whole World Eco Fun Activities Book, Soy-based Crayons, a Juice box, a Fruit strip, a couple of Organic Lollipos, and the Crazy Bands! We had a great time assembling all 115 bags and awaiting for their feedback sometime soon! Posted in Uncategorized and tagged bee, buzz, conference, corporate, event, function, guide, local, magazine, minnesota, packages, products, the, visitor, welcome. Bookmark the permalink.